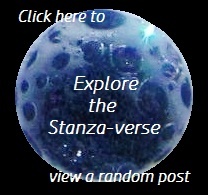 How to | What Rhymes with Stanza? [W]rite poems that provide the reader with instructions on how to do something. like where and why and what and who. how to win it back. This entry was posted in daily prompt, humanity, humor, poetry and tagged how to, humor, NaPoWriMo 2019, poetry, questions. Bookmark the permalink. This is funny! I wrote a ‘how not to’ poem. Ha..plenty of those folks around, especially on the internet. Well done. Thank you. Yes, the internet runs rampant with experts on just about any topic.